I was at Paddington station this morning, having breakfast in Leon. 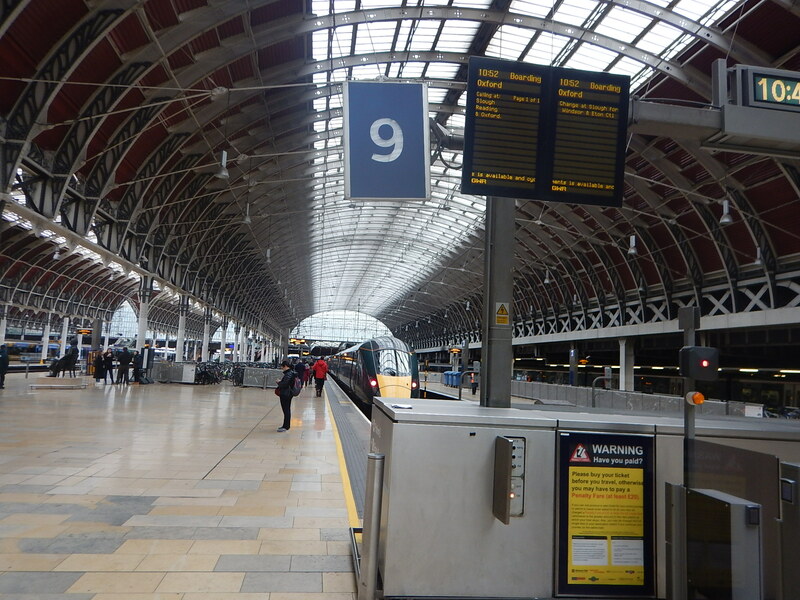 Afterwards, I noticed that Great Western Railway were using a nine-car Class 800 train on the 10:52 to Oxford. I also noticed from the information displays, that all bicycles needed to be booked. That is a bit different from the days of the InterCity 125s, which had lots of space in the back of the locomotive. On one trip to Plymouth, I saw several surfboards swallowed by the locomotive. I got in a conversation with a station guy about bicycles and surfboards and from the knowing look on his face, I suspect it is a bit of a pain. With the growing popularity of cycling, surely a turn up and go regime is needed.